Discussion in 'Pokémon Games Discussion' started by Carmen Lopez, Jun 18, 2010. So I was dyyyying to post in RK9's thread about the original Red and Blue but couldn't because I never played them, so I decided to make this thread instead. This is for all the fond/crazy/newbie/funny moments from your first Pokemon game whether it's RBY, RSE, FrLg, DPPt, or HGSS. Technically my first game was Yellow, but it doesn't count because I never finished it and didn't like it. My 'nostalgic first Pokemon game memories' were in Silver where I had teams so bad, KoL might ban me if I posted them XD. For example, I had an Espeon with Iron Tail...IRON TAIL. I don't care what the anime says, Iron Tail is barely a good move for Steel types, let alone an Espeon. I also remember my first time battling Lance after I inadvertently did a Feraligatr only run (I didn't use my brain and raise other Pokemon). I ended up winning the battle after I found some Elixer in my bag because Feraligatr was nearly out of PP. Silver was also the first time trying my hand at the cloning glitch and it didn't go well. I totally deleted my Venusaur and cried (because I was about eleven). Let's see...I KO'd Raikou on purpose because it's sprite was so ugly, I never wanted to see it again. Sigh, fun times, fun times. With each Pokemon game I get, I have more and more fun, but I always remember where it all started. I wish I could go back and look at my teams back then, but alas, my Silver game no longer works. Oh well, at least I still have the memories and they're partly what made playing through SoulSilver so awesome. Actually, I didn't grow up playing Red and Blue. I just love to play them. Anyways, a moment that I will ever remember is that I was about to take on rayquaza, but I made a pokemon hold my masterball. I thought I would try to clone it and never put it back on my party. So when I fought rayquaza, I had no masterball. Sadly, I have no experience playing the Gen. I or Gen II. games. But, I started with platinum. My fondest memory was either finally beating Gardenia, of meeting my Lucario, which I named Ares. Gardenia was like hell for me. Very rarely would get to her last Pokemon, but when I did, her Roserade would KO my Prinplup. Eventually, I trained up a Ponyta and beat her. Serves her right. LATAH... After I got to Canalave, my friend, (Who was playing his game while played mine) Told me I could get a Riolu egg from Iron Island, I was all YAAY and had my happy face on (*^-^*) and rode the boat. I was so mad when I found out I had to go on that stupid side quest, but I stuck through it and got Ares! Yay, happy face! *^-^*. But, yes. Memories... I shall never forget them! Heh, Kerauno, I love that you started in Platinum. It doesn't matter when you got started. In fact, I think it's a really good sign that we have people who started in Gen III or IV. It certainly doesn't make a person any less of a Pokemon fan. Why thank you, Reina! I also played Emerald and Fire Red, but I never got past Koga in FR. Emerald was easy, except when I got to Juan. He was hard as hell. But he E4 and champion was easy. I think I remember where my base was... Near a waterfall, maybe?... Eh, IDK, I'll check later. I've never used "You can be on my team if I catch you," since! I've never been as excited over receiving my starter as I was that first play through. I'd only had a minimal amount of time to become familiar with Charmander, Squirtle, and Bulbasaur, and hadn't really thought too hard about which one I liked best. To me, they were all awesome. When it was finally the time to make that tough decision, I picked Bulbasaur... and the feeling was great. It really felt like it was mine, and the fact that it was a Bulbasaur has stayed with me. Even years later I still hold a very strong appreciation towards that species. In a similar way, I can still remember what it felt like to beat the Elite 4 and Gary that first time. Back then I didn't have a thorough guide nor the internet to increase my knowledge on the Pokemon themselves (and the Anime series wasn't that far along), so I literally had no idea what the typing for many of the Elite 4/Champion's Pokemon were. I remember trying to Ice Beam Gyarados and being surprised that it wasn't super effective. Same thing happened on several other occasions. It made for a very hard struggle and quite a learning experience, so by the time I finally did win it truly felt like an accomplishment. It's probably still my most memorable Elite 4 victory yet, and probably always will be. My best memories of the Pokemon franchise came when R/S/E as well as D/P/Pt came out. When both the Gen. III and Gen. IV games came out, EVERYONE in my area had them. You weren't cool, unless you had a copy of Ruby, stuff like that. So when D/P/Pt came to the US shores, me and about 15 other people did a store campout (mostly just to say we have done one lol), and when we got our copies, we played nonstop, in a race to beat the Elite 4. I came in fourth, but it was still the most fun I've ever had. This also happened after R/S/E, but to a lesser extent. Hmmmm... My first game ever was Crystal. Some of my fondest memories of that game was getting a female Eevee so I could have a female Espeon (I also had Iron Tail on it Carmen, so you're not the only one...). Then training her, she almost evolved into Umbreon. I was so scared that she wouldn't evolve into Espeon because she wouldn't like me or something, but the next morning at around 6 or 7, I had a brand new Espeon on my team. And then my Feraligatr had Whirlpool and Cut on her . Her name was Croc, and she started a trend of naming all my starters with a C in their name. Andandand the day I evolved my Chansy into a Blissey there was a rainbow outside and it was my sister's birthday. Other fond memories: Getting my entire team on Ruby to level 100, Charmelion evolving to Charizard on LG... And yeah. My very first game was Pokemon Blue. I still remember the day that my Grandma came over and gave it to me for reasons I have completely forgotten. At the time I didn't even own a gameboy yet, so I had to use my brother's to play it. I remember sitting right near the lamp and playing it all night until it was taken from me and I was made to go to bed. I picked Squirtle because Blastoise was the cover Pokemon, and because he was just so darn cute. I remember how epically bad my movesets were for all of my Pokemon. My Blastoise's moveset had Water Gun and Hydro Pump, but no Surf because I thought it was icky... I would also evolve my Vulpixs and Growlithes before they learned any good moves and they would end up being not so good. I'm proud to say that I still have my original Pokemon Blue file, and I occasionally bust it and take a look at all of those old Pokemon from time to time for nostalgia sake. My first Pokemon game was FireRed. (I know, but i got into it around that time) My starter was a charmander named Kyle. 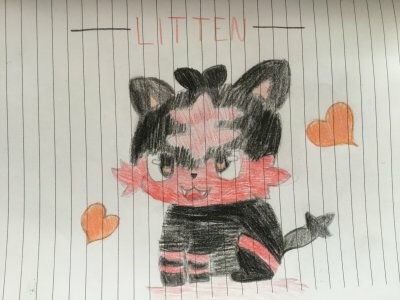 I was new to Pokemon games but i watched the anime a lot when i was younger. i forget what else i caught, but that i might remember. I also played the original 3 (technically 4 if you count Green), but my first fun game was Silver. My first run with it was embarassing.. I picked Cyndaquil for my starter, then caught a Sentret and later a Bellsprout. I traded Bellsprout for Onix, and when I couldn't beat the gyms, I thought since the Pokemon centers filled the Green meter (HP), I thought It would help the Blue meter(EXP). So I kept on healing and healing when nothing helped. So I saw in the Anime where Ash released his Primape so it could get stronger, so guess what I did. I released Cyndaquil. I thought we would "meet" again....sadly I never saw it again (DAMN YOU ASH!!!!). So I then I somehow got a Spearow in my team, and somehow it became my strongest. I beat Falkner, then I leveled it up til it evolved. Then I got fed up with waiting for Cyndaquil to come back (Bricked), so I restarted. Thats when I did things right. Although I never did finish the game, because then Crystal came out, which I almost beat, EXCEPT for Red. Its a shame really, I had no Idea that there was a trainer as strong as him in Silver. My first game was Pokemon Gold i remember receiving it christmas morning, i was aware of the show pokemon (Still in kanto) but it confused me greatly when i realized there was No bulbasaur charmander squirtle or pikachu. All i saw was three names i couldnt pronounce heheh... So randomly choosing i went with cyndaquil. (and even back then i still hated Chikorita : D) I honestly didnt know what to expect so i continued playing at random with no help what so ever. after 5 losses against the e4 i studied items i collected, not really using any besides bicycle pokeballs fishing rod TM/Hms, i finally stumbled upon a revive and bought that and loads of hyper potions, beating the elite four still proved to be challenging, I almost lost to lance but luckily Gyarados surf attack k-oed his charizard for the win. Then i saw gary and got overly excited along with seeing the fimilar gym leaders. After the 16 badges i went off into mt.silver and found red. Now i wasn't sure it was red at first then i saw pikachu and got excited thinking i was fighting Ash Ketchum, then my Gameboy fell into the toilet and got ruined along with my game, The end. I still remember Christmas of 1999 or whenever it was when I still lived in South Africa and got my gameboy Color along with Silver. I got totodile and my sad little team consisted of feraligatr, magmar, octillery, Red gyrados, Ampharos and a pidgey that never seemed to evolve. I still remember Feraligatr's exact moveset which was Cut, Slash, Watergun and Hydro Pump; this was the same when I got him to level 100. I don't know what the other's levels were but I imagine they were very spread out and uneven because I pretty much used Feraligatr for everything. Good times, good times. I felt like crying, all that hard work, wasted. I remember the days of Sapphire. The music still brings chills to my bones. I remember not knowing how good a master ball was, and weakening Kyogre before catching it. I remember checking the power switch every three seconds because I was extremely paranoid about losing battery power. My first game was Fire Red. For once I leveled up pokemon OTHER than my starter. I missed out on beating Gary because I accidentally made my Hitmonchan use agility twice instead of using Comet punch and K'Oing his pogeymanz. Needless to say, I restarted the game because there was no WAY I could beat the Elite4 again. Let me tell ya tal, a tale of Pokemanz, of Pokemon...Gold. I was but a boy of maybe, 6? 7? I don't even remember, was Gold just out? I don't know anymore, but I remember that Christmas, I saw the Gameboy Colour-Special Pikachu edition, of course. I opened Gold, placed the cartridge in, and a whole new world opened up to me. I was instantly caught up in this fantastic place, Johto was a place I could lose myself for hours. My Totodile continued to grow and evolve, a Hoothoot joined my team, then a Gastly, an Onix, all of them continuing ot grow and evolve. I remember beating the Elite Four, my Amphardos striking the final blow to Lance's Dragonite, and the credits rolled. I had won. I now found out about Kanto, what was this place? I recognised things from the show, which I had watched well before I knew the Pokemon franchise started as games. Now I was better, a much stronger trainer. Kanto was a real challenge, my small brain blown by the higher levels, by Red. I beat him, my Feraligatr was now Lvl 100, and his Charizard fell to Hydro Pump. I remember them fondly, and playing HeartGold now, I fall in love a second time, and Red loses again, this time to an Arcanine. I watch the screen go black. Honestly I can't remember what I got first it was either Pokemon Stadium or Yellow. Yellow which I didn't play long because I never did good. For some reason I never could get past the marrowak ghost at lavendar town. I was 5 at the time and didn't understand much beyond the anime. I fell in love with Pokemon Stadium though. To me it was very cool because you could choose any team you wanted. This is also where I became fond of Gengar; back when most Gengar's movesets included "hypnosis" and "dream eater" I adopted this as my first strategy. The next thing I know Silver came out. 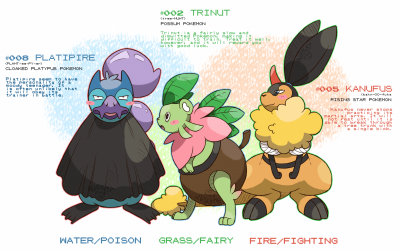 (I still didn't understand much more about the types other than fire beat grass, water beat fire and etc.) I started with a Totodile and caught some other generic pokemon traded for an Onyx and made it to Goldenrod before things got difficult and I stopped for a short time. Then I obtained Crystal and things seemed to take off for me. By then I had a better knowledge of how things worked and I had a-lot more fun playing through the game with my seemingly unstopable Typhlosion. After all the other games Crystal is really the first one I have good memories about and was good at. As for my best memory, I'd have to say catching my pikachu as my first pokemon. I just had to make a account to post in this thread! First pokemon game was pokemon blue, such a good time it was playing that game. After that it was pokemon gold I think. Also a great game. I just wish I had not sold the games and the Gameboy Color. After that my there have not been much playing of the new games since I don't own a DS. Though I have just started playing pokemon yellow on my Wii and also invested a copy of pokemon Crystal, only bad thing is that the memory battery is dead. My first game was fire red. My most memorable moment was either beating misty or gary oak! Both were so amazing because they were the toughest trainers to me! Farthest back was probably when I would be sitting in the car as we would wait for my sister to be picked up, I'd be playing pokemon Silver (Which was her's at the time) and watch as her Quilava would evolve several times. Of course, I would never save, and because my sister didn't want it to evolve at the time, I would just turn it on and off. Then, the first time we beat Pokemon Sapphire. It was mine, but my sister wanted to try and beat the league for me. We were on our way back from a trip, and it was raining pretty hard. We were sitting in the car, and I remember we both panicked the entire time as she battled the Champion. We both screamed when she won. The one thing I remember the most in Pokemon Red was Victory Road. Battling away with Trainers, dungeon after dungeon. I was in one of the dungeon areas when I spotted a bird Pokemon.... So I set on a mission to go and find out what this bird Pokemon was...... and hopefully able to catch it. later on when I finally reached the Pokemon (and saved) I pressed a to interact with the Pokemon, then the battle sequence occurs and I find out it was one of the three Legendary Bird Pokemon Moltres. My first games were Gold and Silver. I believe they were Christmas gifts? Anyway, I didn't know how to play them at first (I was 7 or and just wandered bored. Once I figured it out, I really enjoyed it. I would play the games enough that I'd go through a pair of AAs in my Gameboy Color daily. I remember when I finally beat Falkner for the first time. 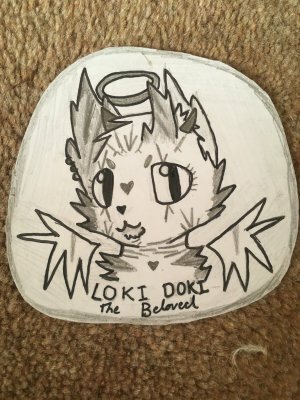 I was so happy because it was my first badge ever. The Gameboy died before I could save. It sucked, but I knew I could beat him again. I have some random nostalgic feelings about Gold, Silver, and Crystal. I really miss the move animations for one. They weren't that great, but they were memorable. Some are even better than their current animations(not sure about Gen V). Hyper Beam had the coolest animation. It was a freaking beam coming out of your Pokemon and it did loads of damage. Dragon Rage was also cool because of its fiery 'M' that it left on the screen. I also remember having a fetish for Dragon types in that game because of Lance. His Dragonite was so cool and I wanted one so bad. Dragonite and Gyarados were probably two of my favorite Pokemon back then due to Lance. These memories are probably why I was so pumped for HGSS. It was a chance to relive my childhood. Defeating Team Rocket in Goldenrod's Radio Tower, getting the Red Gyarados, and defeating Red at Mt. Silver. I'll probably never be excited for a game as I was for HGSS. Yes, I'm super psyched about Black and White, but it doesn't have as big of a connection with me as Gold, Silver, and Crystal did.